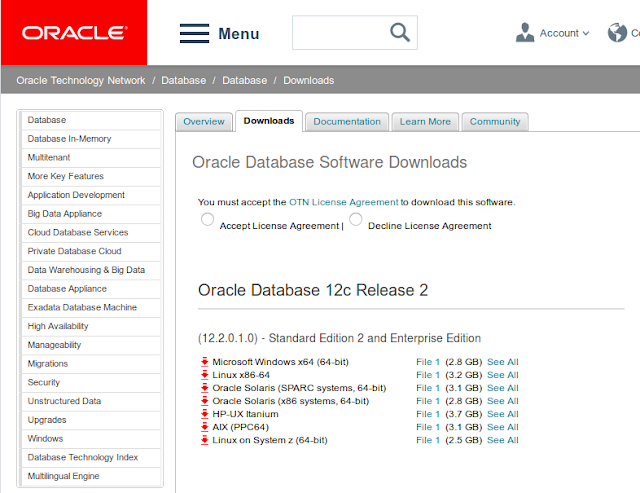 Run like Hell: Oracle Database 18c released! Image-based Installation? 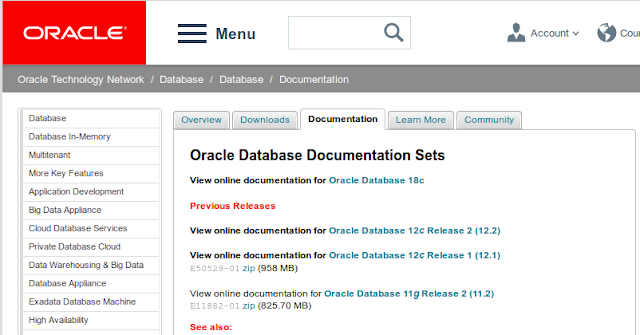 Oracle Database 18c released! Image-based Installation? So the "cloud first" strategy is still in place (by the way: is this something like "america first"?). Starting with Oracle Database 18c, installation and configuration of Oracle Database software is simplified with image-based installation. 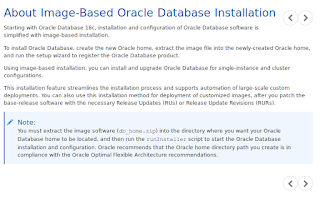 To install Oracle Database, create the new Oracle home, extract the image file into the newly-created Oracle home, and run the setup wizard to register the Oracle Database product. 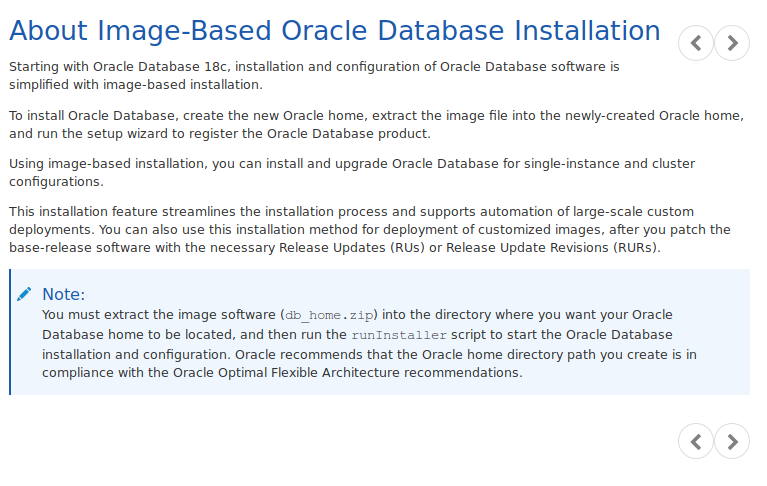 Using image-based installation, you can install and upgrade Oracle Database for single-instance and cluster configurations. As much as this is important annother importand question is: When will 18XE be in the wild. Even in edelivery.oracle.com there is no download package for 18c. It is really "cloud first". Oracle is not a serious company... Always finding it difficult to give developer something... Oracle apex cloud service free, Oracle database 18c XE. Will they ever comes out?